If you are planning a trip to Grand Teton National Park, then you’ve come to the right spot. 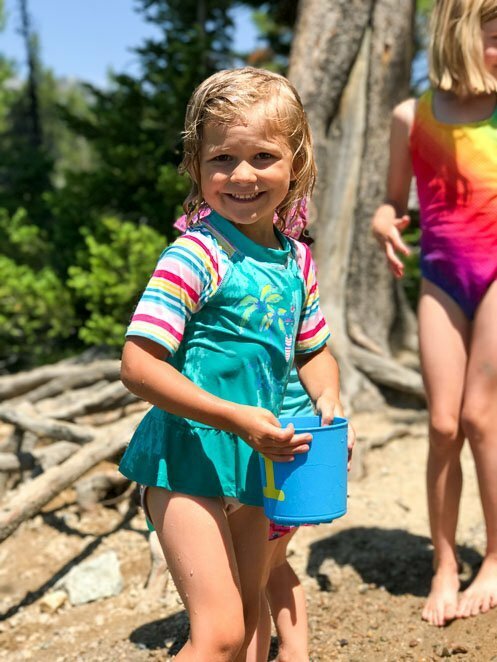 Our family spent 9 days camping in and around Grand Teton National Park last summer and we absolutely loved it! Here is our take on the best of the Tetons! 6. Enjoy some Grand Teton kayaking and paddle-boarding experiences! 10. Boondock outside of Grand Teton! 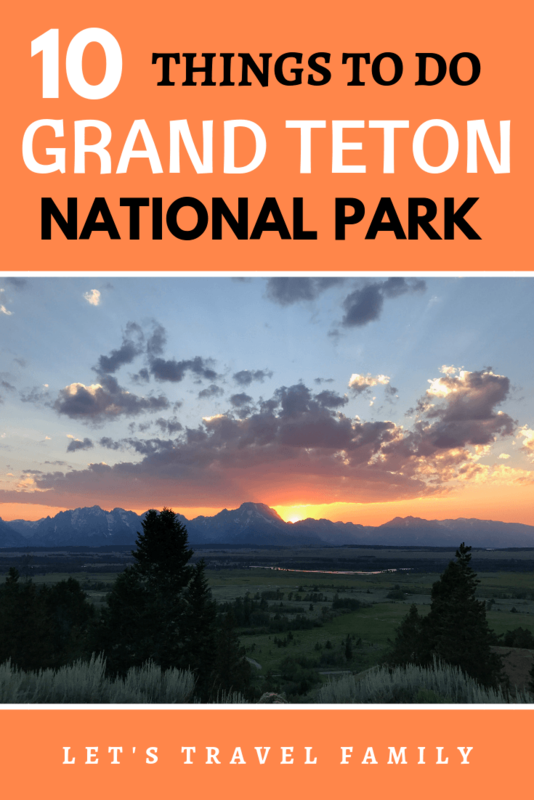 Why Grand Teton National Park? 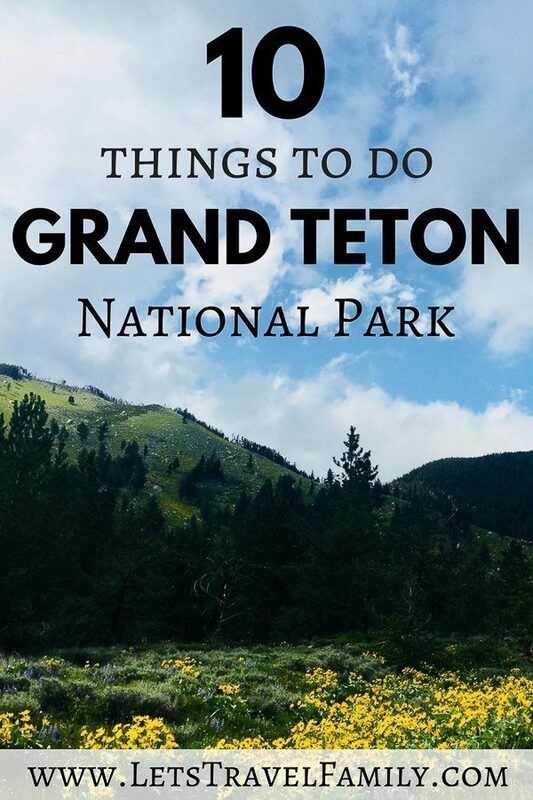 When planning your trip out to Grand Teton National Park, be read for some great experiences. From earning Junior Ranger Badges and hiking, to swimming and camping, we have it all covered here. Grand Teton National Park has a great junior ranger badge program. 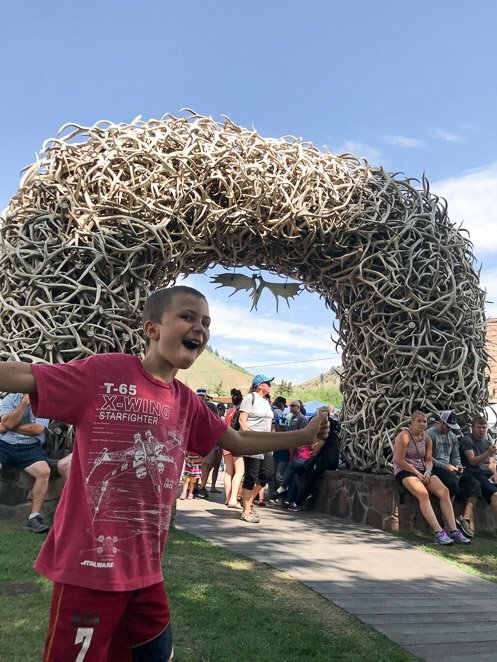 It is free, which is different from the small fee associated with the Yellowstone Junior Ranger Program. Never heard of the Junior Ranger Badge program? No problem. 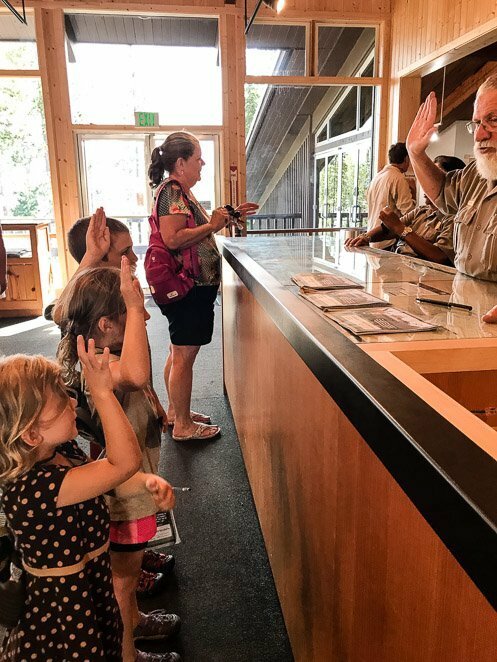 You just need to stop by a visitor center and ask a Ranger for the Junior Ranger booklets. They are workbooks that the children can complete in order to turn in and earn a Junior Ranger badge to keep and show off to grandparents and friends! 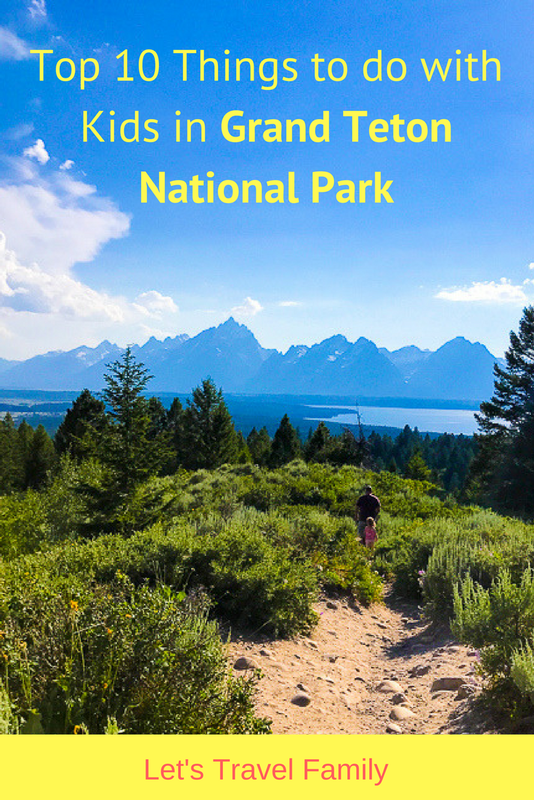 My 8 and 6 year old kids were able to work through their booklet by learning about Grand Teton National Park from the exhibits at the Craig Thomas Discovery and Visitor Center. They also watched the video at the theater in the center, and went on a Ranger-led hike as a way to finish the requirements to earn their badges! Give your family a few hours to drive around the large park. A key point to view is the Teton Glacier. A turn-out for Teton Glacier is just south of Jenny Lake Visitor Center on Teton Park Road. Stop here on your drive to see a fantastic view of Grand Teton at 13,770 feet tall and Teton Glacier on it’s East side. Did you know that you can tell the difference between a glacier and snow by looking at the difference in color? A glacier will be gray in color while snow is a brighter white. If you like farmers markets, you will absolutely LOVE the farmers market in Jackson, WY. They hold it every Saturday morning from the beginning of July to the end of September from 8am-Noon. We love finding great farmer's markets, and Jackon's has been one of our favorites. Some things to expect are many varieties of vegetables, fruits, coffee, meat, and prepared food. The organic selections are in abundance and the live music is very welcoming. If you like finding great hiking in National Parks, then I recommend the Hidden Falls Trail in Grand Teton. It starts at Jenny Lake Trailhead, just next to the visitor center. But, be prepared for a busy parking lot and try to arrive in the early morning or late in the afternoon to increase your chances of finding parking. The hike is 2.7 miles from the parking lot to foot of Hidden Falls with some elevation to consider for young ones. Keep in mind that you are 6,000 or more feet above sea-level. So give you and your kiddos a break if you need one to catch your breath. We took several for this reason! The trail goes partway around Jenny Lake. It’s a great hike for spectacular views and an exciting endpoint of seeing the Hidden Falls. Once at the bottom of the falls, there is a great place for the kids to play on downed trees that are used as benches. It’s a spectacular view of the 80 foot falls, and if you come at the right time you might see the rock climbing groups climbing near the falls! A bonus for taking this hike as a family is a chance to take a boat shuttle back! That is if you make it to the falls with young kiddos and find that they are much too tired to hike back. There's a fee involved so be sure to bring money with you on the hike if you are considering taking the shuttle. During our hike to Hidden Falls one of our daughters came down with a fever and we needed to get back fast. We were happy to hop on the boat for the ride back instead of carrying her all the way back down. The lake is calm, shallow, and at the foot of the Grand Tetons! Due to its small size it warms up enough in the summer to go swimming. I can't say enough how much our family really enjoys finding beaches we love! This is the THE place for families to hang out. We had to walk for a while just to find an area on shore that was available so that we could swim, as many of the areas were already filled with other adults and children. There are bear boxes to use all around the lake and many warning signs reminding you to keep your food contained and please, always carry bear spray. The two calm glacial lakes are perfect for some kayaking or paddle boarding. 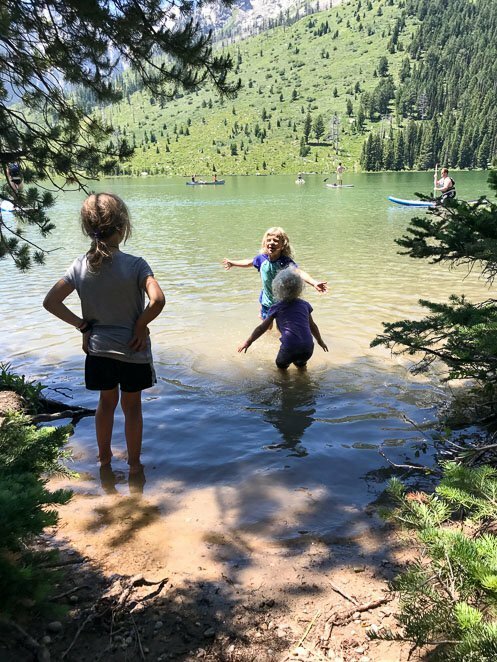 We watched many families bring in their own paddle boards to both String Lake and Leigh Lake while we visited. It looked like so much fun! Moose is a small town with a gas station, general store, coffee shop, a few restaurants, ATM, and beer and wine. The coffee shop was a great hit for us because, you see, my husband and I have a little addiction to espresso. So finding some fantastic espresso just made our week. Oh, and the fact there was good cell service was another plus! We enjoyed dinning in a real teepee at Dornan’s, a great chuckwagon, outdoor summer restaurant in the area of Moose. When I say area, I mean that the Dornan family owns this patch of land and all the stores and shops. Its very small, but a nice addition as it's a long drive to Colter Bay Village or Jackson, WY from this central location in the park. There are many miles of paved bike trails throughout the National Park. So much so, that I was surprised I didn’t read about it before we arrived. We saw a lot of cyclists throughout the park each day and it sure made us excited to take the kids out on the bike trails! Camping in Grand Teton National Park can be thrilling! You are in bear country with breathtaking views of the huge Teton mountain range. If you can get into one of the many National Park campgrounds that take first-come-first-serve then you are in great luck! That is, if you are visiting during the prime months of June, July or August. Camping as a family in your RV together makes for great memories. Read more about full time RVing with kids here. If you want a reserved campsite then my advice to you is to book early for any Teton Camping. The campsites that you can reserve fill up at least 6 months ahead of time. Colter Bay RV Park and Headwaters Campground have electric and sewer hook-ups for RV and tent sites available for reservations. 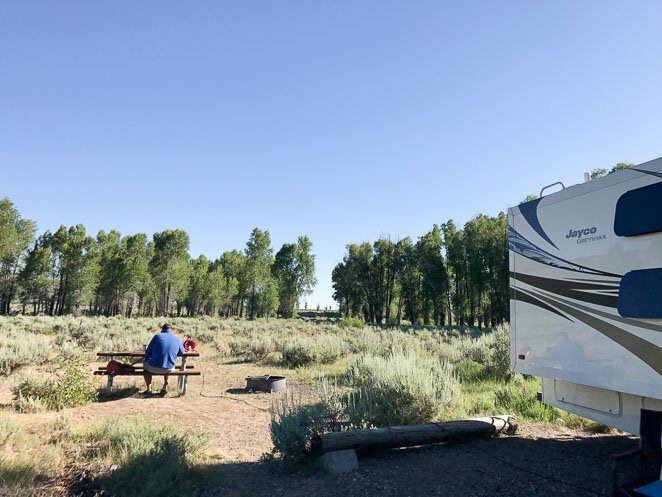 If you are willing to try for a first-come-first-serve campground then you can try out Gros Ventre Campground or Colter Bay Campground. 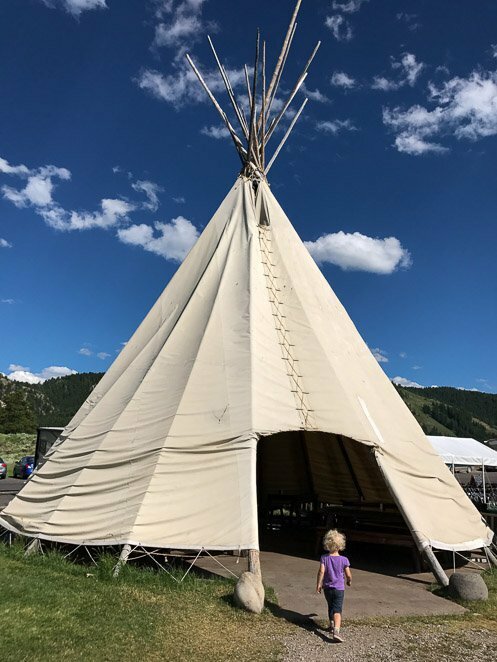 We visited both campgrounds and found that the Gros Ventre Campground had a higher chance of having an available campsite for us during July and we found some cell service at this campground! We also liked the proximity to Jackson, WY. Colter Bay did not have any cell service from Verizon or AT&T and filled up much quicker each morning. 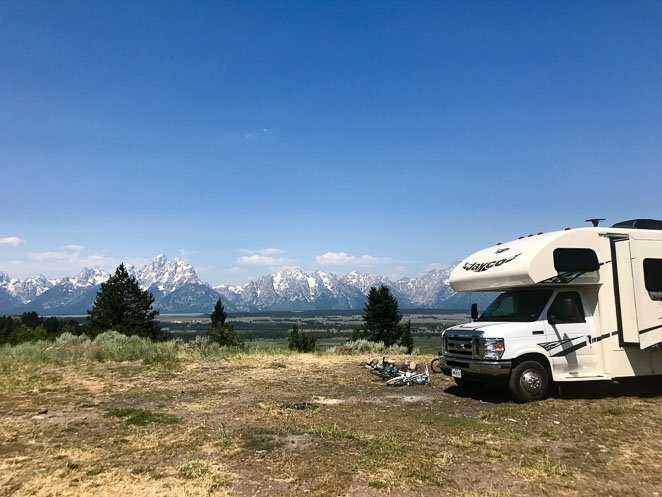 If you are looking for a free campsite with a fantastic view, then you need to check out Upper Teton View! Dispersed Upper Teton View is part of the National Forest in Wyoming. They call it dispersed camping Wyoming. The exact GPS coordinates are: 43.76249, -110.55400. The best part is, it is completely free and you can stay up to 14 days between May and September! Our family stayed here for 3 nights and it had some of the most breathtaking sunsets that I have ever seen! We were thrilled to have our generator and many other essentials for boondocking while we stayed in the dispersed campsite. We also met many other traveling friends from all over at Upper Teton View. A group from Australia, a couple from Germany, another couple and their daughter from North Carolina, and another Full time traveling family in an RV! Some who came before us said that there was decent cell service at the campsite. We didn’t find that to be true and needed cellular service since we are traveling as a digital nomad family and work while traveling. 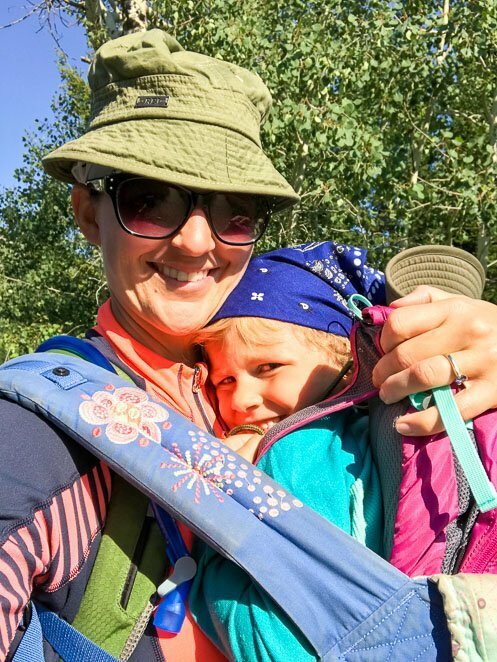 We spent a few days with our new friends and then moved to Gros Ventre Campground, which turned out great for us too! 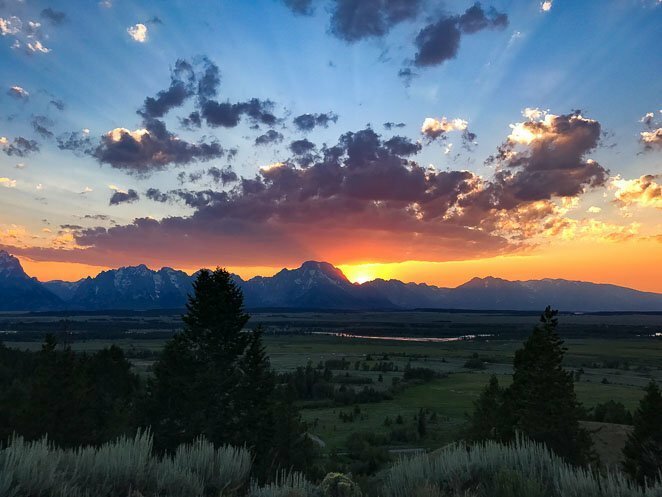 The abundance of outdoor activities ranging from hiking, biking, camping, swimming, canoe/kayak/SUP rentals, whitewater rafting, wildlife viewing, fishing, and so much more make Grand Teton an amazing destination. But when traveling with a family, always remember to go at the pace of the littlest ones--both you and the kiddos will be thankful!